Truth be told, this is quite an advanced book on language use written from deep within the research vaults of the English linguistic history, but it’s written in a language that most people will be able to understand. Behind the apparently frivolous and amusing selection of examples in Damp Squid, Jeremy Butterfield is offering a serious update on how lexicography is conducted in the digital age. Dictionaries are no longer constructed from contributions handed in on slips of paper by enthusiastic amateurs: they are compiled by software programs crunching vast stockpiles of words stored in databases – known as the ‘corpus’. This is a collection of examples of how the English language is actually being used, drawn from the printed word – from literary novels and specialist journals to everyday newspapers and magazines, and from Hansard to the language of chatrooms, emails, and weblogs. The complete database (of the Oxford Corpus) contains over two billion words, and is being expanded at the rate of 350 million new words every year. The Corpus reveals those words we use most frequently (the, is, to and) – but it has to be observed that these are based on written evidence – not the language we speak. He looks at the origins of English language, which comes from a bewildering variety of sources – Old English, French, Norse, Greek and Latin, plus words borrowed from more than 350 other languages. The current social activities generating most new words include information technology, lifestyle, media, sport, ecology, fashion, and cuisine. These new words are coined by making compounds from old terms (bedmate, streetwise) clipping and back-formation (advert, emote) portmanteau (chortle, podcast) eponyms (Biro)and foreign suffixes such as —ati (It: glitterati) —ista (Sp: Guardianista) and —fest (Gr: bookfest). 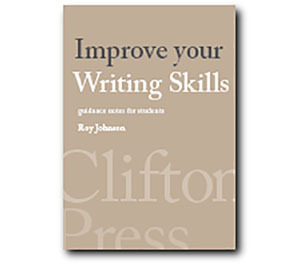 He has a good chapter on irregularities of spelling and pronunciation, culminating in a review of ‘eggcorns’ – understandable mistakes such as just desserts, free-reign, and baited breath – many of which are so widespread there is a danger of their becoming accepted. He is a fully committed descriptivist. That is, his job as he sees it is to record the manner in which the English language is used, no matter how much it might change its meanings. Hence the title of the book. 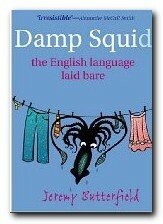 He argues that damp squid makes just as much sense as the original damp squib – because we hardly ever use the term squib any more. This might infuriate traditionalists and prescriptive grammarians, and it does neglect to note that a squid can hardly be anything other than damp, since it lives in the sea, so the metaphor loses all its force: it fails to make an imaginative connection between two disparate things. In fact he takes things even further in his conclusion, where he delivers a vigorous critique of what he calls the ‘language Nazis’ – those people who write to newspapers complaining about the decline of the English language (and are aided and abetted by the BBC).